How do I allow employees to clock using the mobile application. Geofenced clocking. The phone must have access to an internet network to be able to clock. It would be illegal in most cases and it would use all their date + drain their batteries. We only take a position snapshot at the moment of the clock in/out. It is not possible to activate it to certain users only. By default employees will have to be located within 100 meters of the location's address in order to clock in. It is not possible to go below this threshold given the multiple interferences and laking precision of multiple devices. If you wish to remove the restriction, simply uncheck the box. 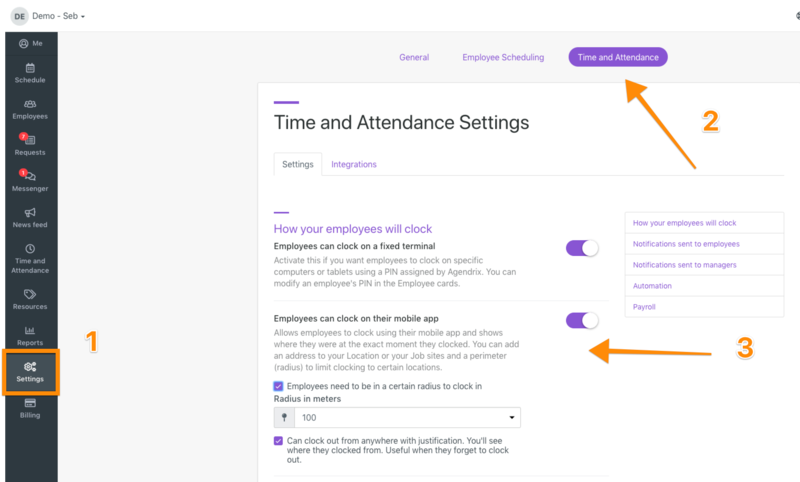 Even if you remove the restriction you will be able to consult the location of the employee at the moment of his clock using the clock log. Employees frequently forget to clock out. With this setting they will be able to indicate the actual end time and provide a justification from being away from radius. We strongly recommend you enable it as it will reduce the amount of back and forth with them! 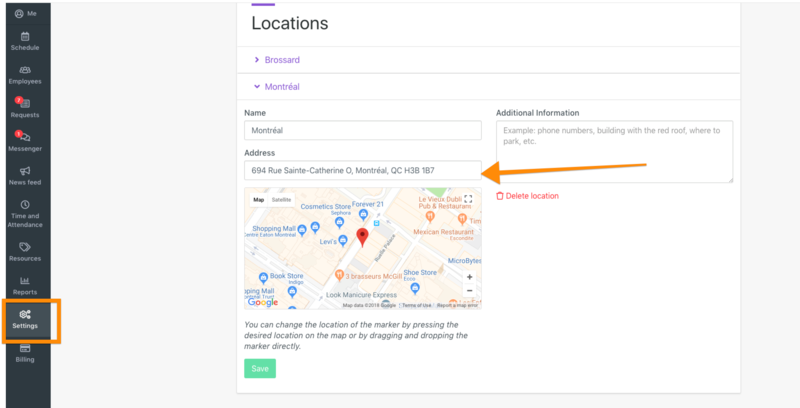 You can go in "Settings" menu and scroll down to insert the location's address. If you are a security, construction, home care or field service company you are probably dispatching your staff around multiple job sites each week. We recommend using the "Resources" module in this regard. You will be able to create Job Sites that will then be assignable to employee's shifts.